Espadrilles shoes are one of the most versatile and comfortable footwear for summer. Before the last days of summer transitions into winter... make the most of the chance to wear yours! These rustic shoes evoke a strong sense of summer and vacation, of island dreams and sea side lounge. And many brands have introduce their luxury versions, they work well both with shorts or an even more smart casual ensemble. 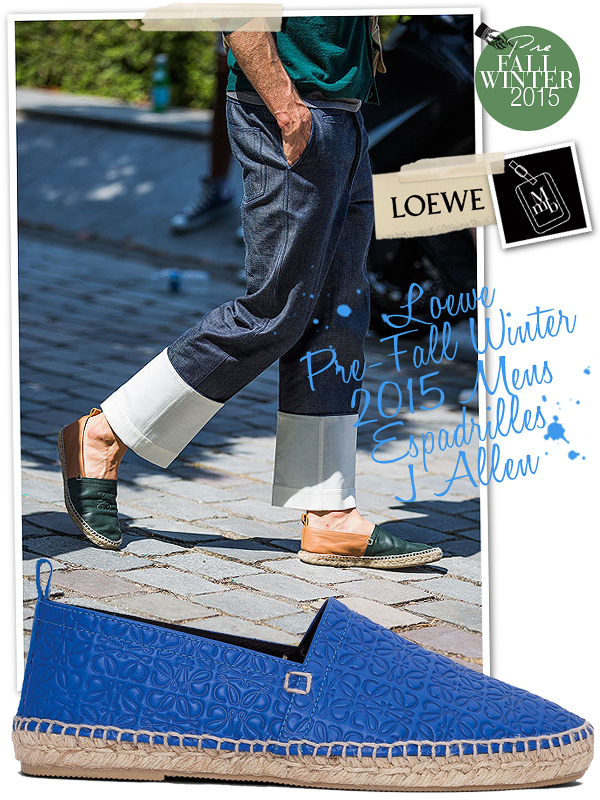 One of the most outstanding designs that caught my eye are Loewe’s Espadrilles J Allen, especially the versions in embossed anagram. Loewe’s anagram has been modernised since J.W. Anderson took over the creative reins of the brand, so when applied as a pattern, they somehow look more modern than other similar patterns. I love the pair in bright electric blue. I am already thinking of blues skies and emerald seaside adventures wearing these! SGD550 is also not too bad a pricing, considering how Loewe’s leather are always pristine and soft. I want a pair! 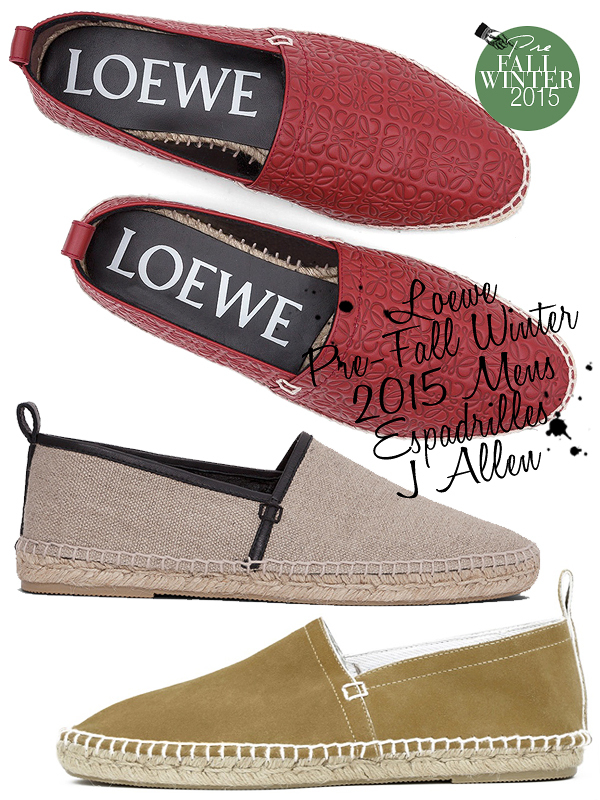 Click here for more pics of Loewe's Espadrilles John Allen on my facebook fanpage. 'LIKE' my fanpage if you enjoy reading this post.